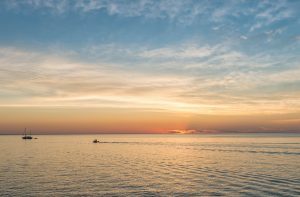 Saginaw Bay weather has been the limiting factor. 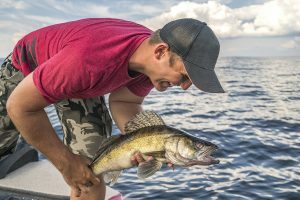 Walleye anglers are fishing crawler harnesses off Linwood in 18 to 22 feet, Gambil’s in 12 to 14 feet and around Spoils Island in 17 feet. Walleye fishing was fair between Quanicassee and Caseville. Fish were caught on crawler harnesses and body baits at Bay Port and Wildfowl Bay. Those fishing the Slot did well in 14 to 18 feet with crawler harnesses and crank baits. Good colors were purple, brass or pink. Channel catfish and white bass have also been caught. 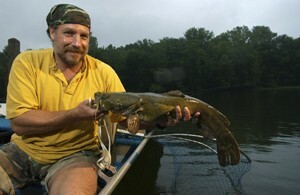 At Sebewaing, catfish were hitting on crawlers in the channel. 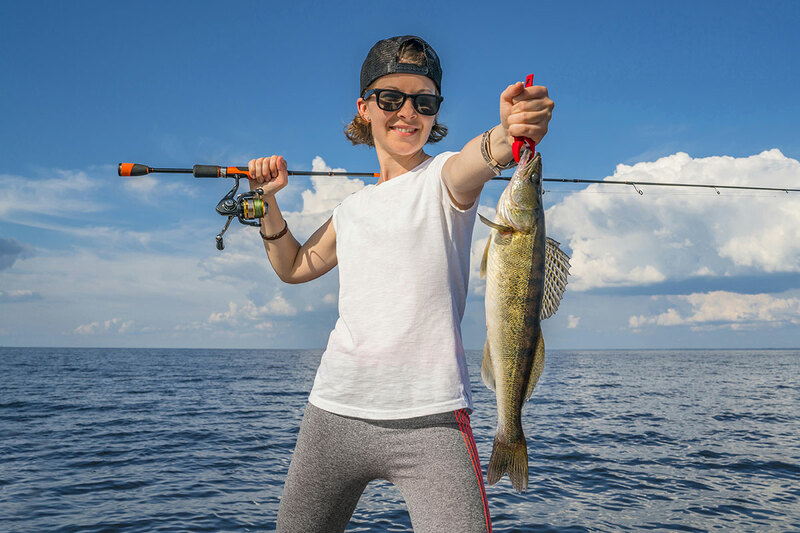 At Port Austin, a few walleye were caught by pier anglers at night. The minnows were in and so were the steelhead and coho. Saginaw River walleye fishing slowed as the river was muddy. Tittabawassee River the walleye run is winding down. A few are still being caught by those trolling near the Center Launch Train Bridge and Imerman Park. 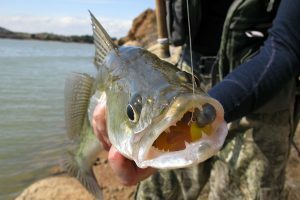 They are starting to catch white bass near the Train Bridge and Green Point Nature Center when casting or trolling artificial lures near shore. Gold was a good color. Those fishing down from the Dow Dam caught white bass or smallmouth bass. 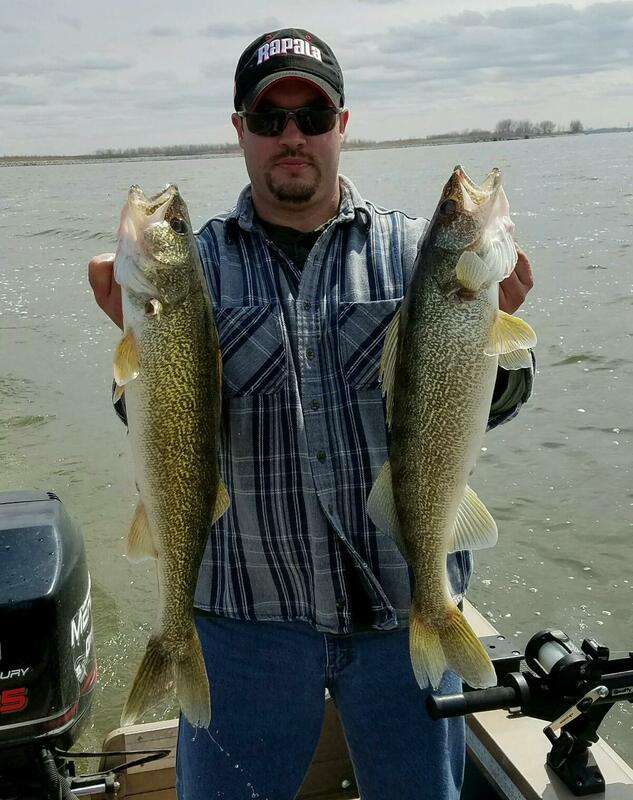 Au Gres Area walleye fishing was slow. Those heading north and fishing deeper in 30 to 50 feet off Point Lookout were getting a few with crank baits and bottom bouncers but most were heading south and fishing Buoys 1 and 2 in the shipping channel or to the Saganing Bar off the Pine River and fishing in eight to 10 feet. 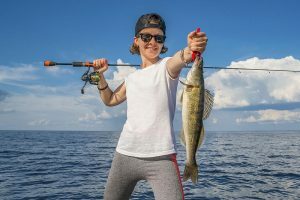 Oscoda pier fishing picked up with a good number of walleye entering the river. Try floating crawlers or casting body baits and twister tails. A couple lake trout were caught off the pier however they will be moving out to deeper water. Au Sable River steelhead are still making their way up to Foote Dam. Anglers are still seeing fish on the beds. Try spawn, wax worms, spinners or small spoons. Tawas Area those trolling caught walleye, lake trout, steelhead or brown trout out past Buoy #2. Most are using spoons or crank baits. A few boats were working the waters around Buoys 4 and 6 near the reef. Pier anglers caught a few walleye and the rare Atlantic salmon. Those casting artificial baits caught and released bass. Tawas River did not have much to report. 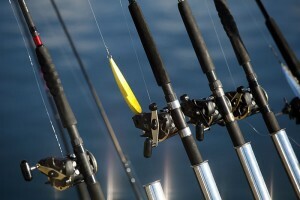 Are you an avid catch-and-release angler? Do you like to take photos of the fish you catch, prior to returning them to the water? Do you know the safest way to take these photos so you ensure the fish can live to be caught another day? 1. Wet your hands before you handle the fish – that way you won’t remove any of the protective mucus (aka slime) the fish has coating their body. 2. Remember a fish can not breathe out of water, so they will become uncomfortable rather quickly. Keep the fish in the water until your camera is ready to take the shot. 3. Take the photo with the fish fairly close to the water, that way if it squirms out of your hands it will land in the water – not on a hard surface. 4. While holding a fish do not pinch or squeeze it and do not stick your fingers in its gills. 5. Be mindful of the different kinds of fish that have teeth and/or spines that could stick you.